Talk to Us. Make the Call. Our Youth Services programs provide a broad range of services for alcohol and drug-related problems which include prevention services, assessment, treatment, crisis intervention and referral services to youth and families. Our programs are county-wide, with clinics located in Oxnard, Ventura, Simi Valley, Thousand Oaks and Fillmore, CA. Services consist of school programs and clinics serving the general community. Referrals to our programs come through families, school counselors, teachers, community-based organizations, mental health providers, probation and more. 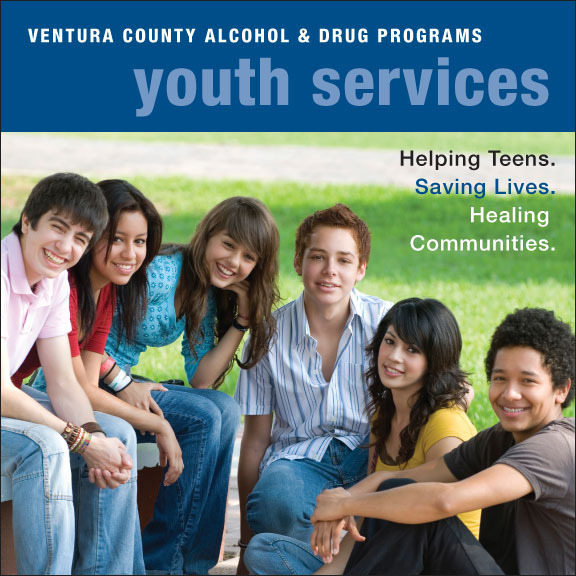 Ventura County Alcohol & Drug Programs is committed to working with each and every family in order for youth to receive the services they need. Our trained staff will review every possible means to cover these costs by qualifying youth for Drug Medi-Cal substance use benefits. Youth Services programs use an evidence-based treatment curriculum. This is not a 12-step based program, but rather an intensive outpatient model for youth with alcohol and other drug-related problems. Our evidence-based treatment curriculum is a research and scientifically based curriculum for working with adolescents. Our curriculum consists of individual, group and family sessions, and parent and youth substance use education groups. The primary goal of the curriculum is to improve the lives of individuals and families affected by alcohol and other drug use through treatment and education, with an emphasis on relapse prevention.